Imagine being handed a mystery box of ingredients and being asked to prepare two courses in 30 minutes. Now imagine doing the same thing in front of a giant crowd. 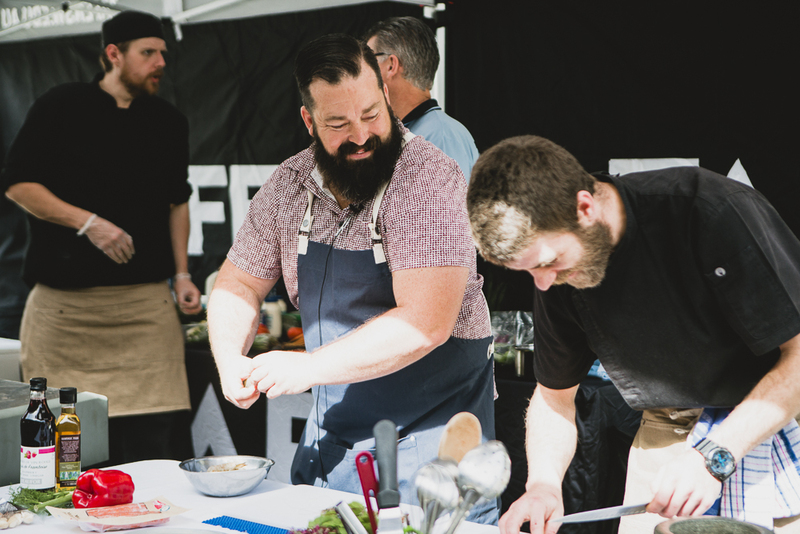 This is precisely the challenge that Zeb Gilbert of Wasabi Restaurant in Noosa, Michelin star chef Luca Ciano, and their teams of North Coast TAFE apprentices were given during a unique and inspiring event at the Sample Food Festival last weekend. Gilbert and two apprentice chefs, Ben Layton and Christine Stephens, won the day. 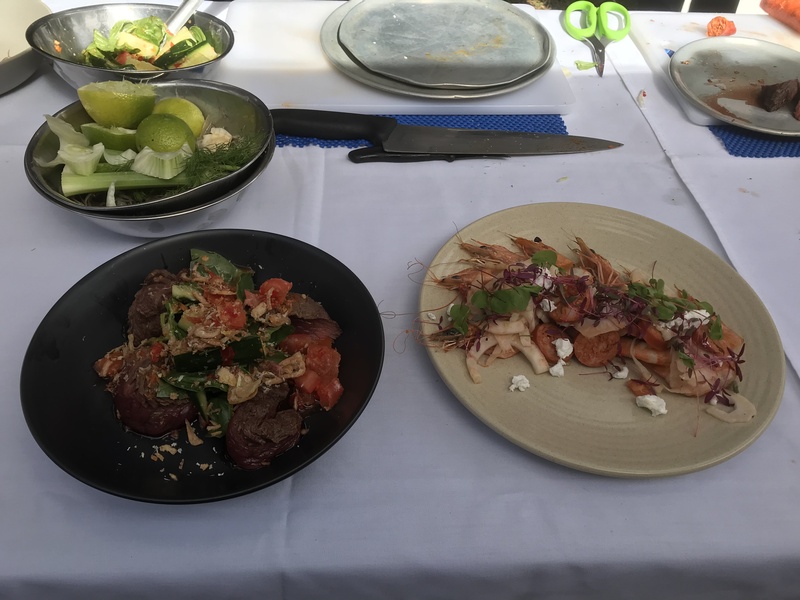 After an action-packed 30 minutes, they presented two fresh and modern Asian-inspired dishes: prawns and chorizo with a crunchy cucumber and tomato salad with fresh Asian herbs and a seared Thai-spiced kangaroo fillet. Layton and Stephens admitted being nervous to work with Gilbert and cooking in front of such a large crowd, but by the end of the challenge, they were beaming. The experience was a valuable one for both Gilbert and his enthusiastic team. “The food festival is a great opportunity for chefs and apprentices to see what local produce is around and see that you don’t need to leave the region to cook good food,” he said. Stephens agreed. “I was not so familiar with kangaroo but I’m excited now to go away try it myself,” she said. 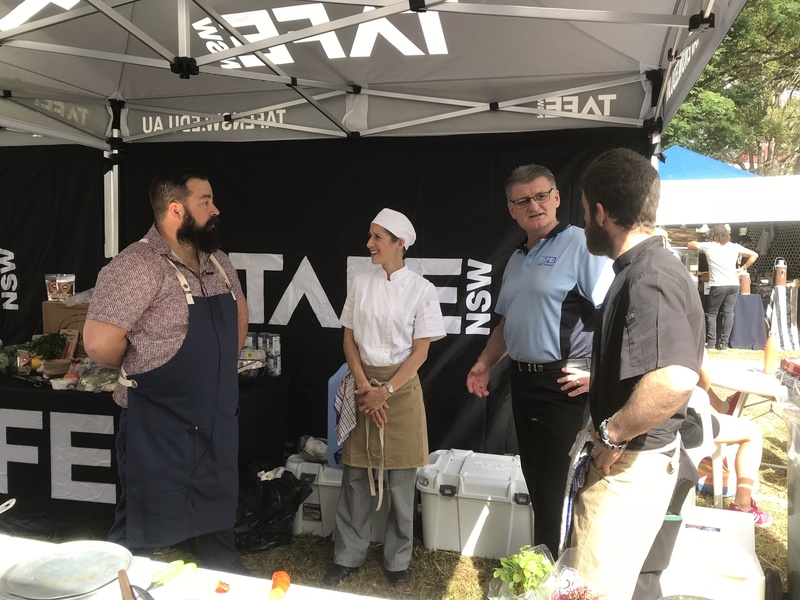 Layton and Stephens said TAFE provides excellent opportunities for students to gain real-life, hands-on cooking experience through catering and cooking at local events. When the school offered them the opportunity to take part in the challenge, they both said they would be crazy not to take it. He said the opportunity to meet local producers and hear their stories is really important. Layton and Stephens would like to stay in the region when they complete their apprenticeships and open their own restaurants. For Stephens, this would be a combined patisserie, book shop and café, while Layton is keen to promote the paddock-to-plate experience and indulge his passion for local produce and sustainable farming and cooking practices.